Mr Blackford said the prospect of leaving without an agreement, which could well come to pass in eight days time, “scared the living daylights” out of him. He warned that in the event of a no-deal, foodbanks across Scotland would struggle to cope with the level of demand. Mr Blackford, speaking to the Press and Journal, said: “It’s extraordinary that we are at this stage and that the prime minister has failed to recognise that neither her deal or no-deal are acceptable and she has failed to engage cross-party to find a way forward out of this. Mr Blackford raised concern that it could well come to pass that if Mrs May’s deal is defeated the government could ignore Parliament’s demand not to leave with no-deal. 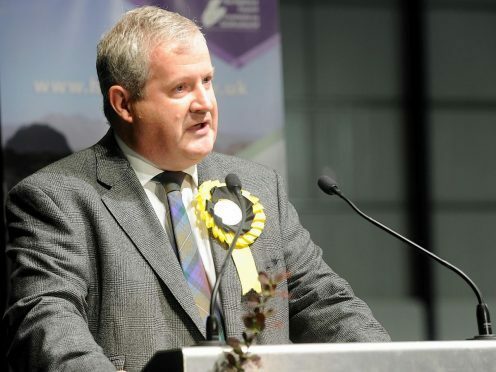 Pressed on whether preparations for a second independence referendum were being ramped up in light of the latest Brexit developments, he said: “You know the direction of travel on this, I don’t want to preempt what the first minister may say.